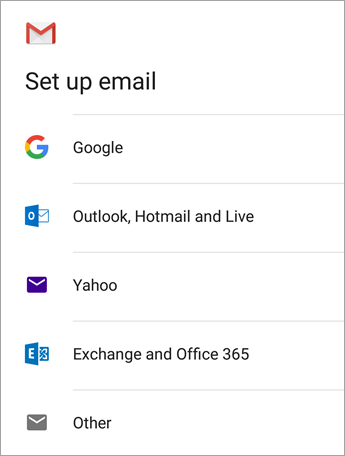 If you’re wanting to add your Office 365 or Exchange email to your Android phone or Android tablet and would like to use the built-in email app, follow the instructions below. 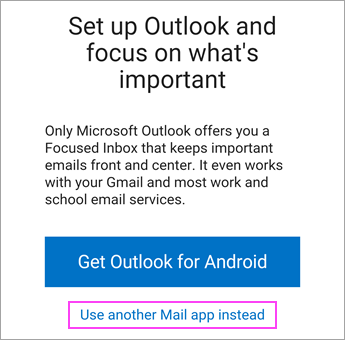 Important: Do NOT choose “Outlook, Hotmail, and Live” unless you want to sync email only. 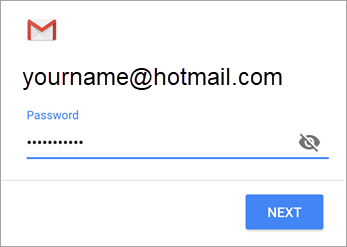 If you are setting up an Outlook.com account, skip this step. 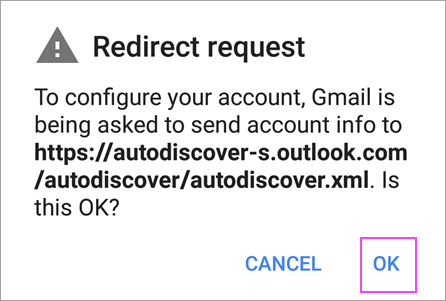 If you’re setting up an Office 365 work or school account, you may see a Redirect request screen. Tap OK. 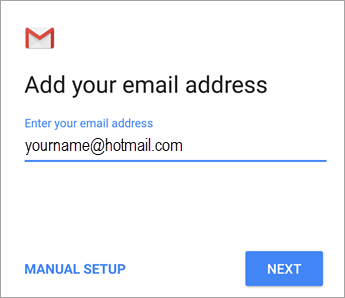 Note: For Exchange or other accounts, you’ll have to ask your IT admin or email provider for server settings and set up your account manually. 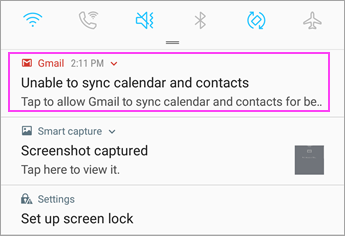 Follow any prompts you may get, including Remote security administration, security permissions, sync settings and a display name. 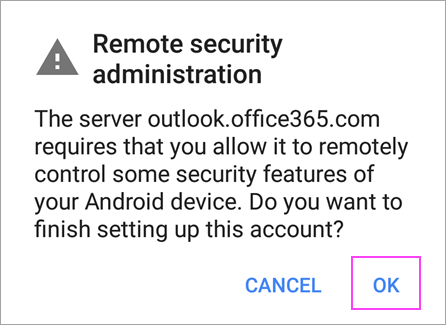 If you use Office 365 for business, you may also be asked to approve additional security measures. In this case, choose Activate.